Dr. Iosifidis is an Orthopaedic Surgeon and is currently practicing in private. He is the founder and head of the Orthobiology Surgery Center, Thessaloniki, Greece. He studied at the Medicine School of the Aristotelian University of Thessaloniki, where he obtained his MD in 1992 and his PhD in 2006 completing his Doctoral Thesis with the title: “Elite athletes sport activity as a predisposing factor for osteoathritis”. In 2000 completed his residency training programs in Surgery and Orthopaedic Surgery Deps. at Thessaloniki Greece. During 2004-2005 did a fellowship in arthroscopic surgery at Dep. of Orthopaedic Surgery and Center of Sports Medicine, DS Prof. FH Fu, and also a research fellowship in basic science research on tendons problems (tendinopathy) and anatomic ACL reconstruction at Mechanobiology Laboratory, School of Medicine and Bioengineering School, Univ. of Pittsburgh. He followed fellowships programs in arthroscopic surgery at Dep. of Orthopaedic Surgery of Hospital for Special Surgery, New York City (2007, 2008), and at TUM Univ. Klinik für Orthopädie und Sportorthopädie, Prof. Dr. A. B. Imhoff, Munich, Germany (2010). He has published in national and international journals (28 peer reviewed articles) and book chapters (5 chapters in international publications), and presented at many national and international meetings. He is deputy Chair of ICRS Communication and Publication Committee, member of ESSKA Education Committee and also member of ISAKOS Education Committee. He is 1st Vice President of Greek Society of Arthroscopy Knee Surgery and Sports Injuries. 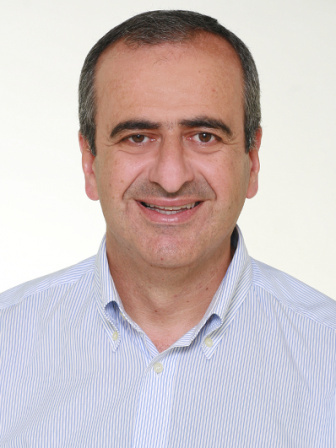 In the last 5 years his research is focusing on MSCs use for cartilage lesions treatment (member of the Advisory Committee of Greek Hellenic Cord Blood Bank of Biomedical Research Foundation Academy of Athens /BRFAA), and knee joint kinetics and kinematics.